The Delhi government has ordered an inquiry into the incident. 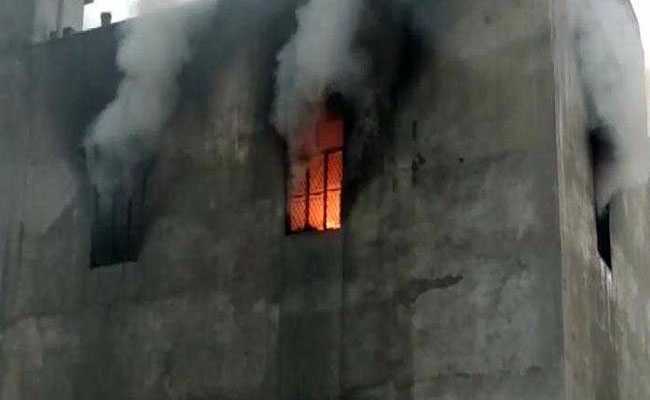 New Delhi: Prime Minister Narendra Modi has expressed grief over the deaths of 17 people in a huge fire at a two-storey firecracker warehouse in northwest Delhi's Bawana area. "Deeply anguished by the fire at a factory in Bawana. My thoughts are with the families of those who lost their lives. May those who are injured recover quickly," PM Modi said in a tweet yesterday. As many as 17 people, including 10 women, were charred to death or asphyxiated and 30 others were injured. The Delhi government has ordered an inquiry into the incident. Chief Minister Arvind Kejriwal, late on Saturday night, visited the spot. "Learnt about a serious fire incident in a private factory at Bawana. Several casualties reported. Monitoring the situation. Ordered enquiry," Delhi Health Minister Satyendar Jain said in a tweet.